Note: the term "off the shelf technology" refers to already proven and designed technology. (Above) Falcon Heavy versus the Space Shuttle on lifting cargo into low earth orbit. Updated May 2018. At the present time N.A.S.A. has no real mission. It has to rely on SpaceX, the Russians, etc. just to supply-maintain the International Space Station. The costly and political pork-ridden space shuttle program was ended. Of the five space shuttles in the program Challenger blew up on launch, while Columbia broke up on re-entry. This led to 14 deaths. The problem was over-complexity, age, and bad engineering along with high cost. As I understand it the solid rocket boosters were an effort to maintain a production line for military rocket boosters. Liquid hydrogen is costly and dangerous to handle, etc. NASA operates with a military mentality which turns simple problems into political driven nightmares of cost overruns, delays, etc. The military buys technology before it is even developed or debugged - so does NASA. This is why so many overly complex military systems such as the F-35 are too costly and after years of delays still have problems. They try to do too much with one piece of hardware and integrate these complex systems. An F-16C/D was a great aircraft at $18.8 million each in 1998. The F-35 program according to CNN ran $200 billion over budget and sort of became operational, but there are still claims of problems and downgrading the specifications. $400 billion for 2,457 aircraft is $163 million each or 9 times the cost of an F-16. The F-22 Raptor is $750 million each. The F-35 Lighting ranks as the 7th most expensive US aircraft at $122 million each. Now imagine using and discarding a new F-22 Raptor plus 5 F-35 Lighting fighters to launch a satellite into orbit. Welcome to the defunct shuttle program. Now NASA with its Space Launch System or SLS will cost even more than the Space Shuttle at $1.5 to $2.5 BILLION per launch. Writers at www.arstechnica.com report this is so expensive only one or two launches a year are possible. The RL-10 engine to be used later on costs $38 million each or about the cost of 2.5 F-16s in 1998. The initial design looks like it will use 4 RS-25 engines they claim. According to www.NASASpaceFlight.com the RS-25 is a rehash of the Space Shuttle engines - six will cost $1.6 billion. This will restart a closed production line. 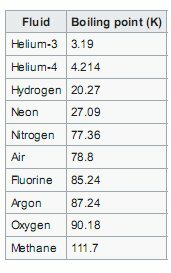 (Above) Temperatures of liquid gasses. Again development is years behind schedule. Worse it's another re-work of the Space Shuttle - same costly liquid hydrogen, same solid rocket boosters, etc. In fact critics claim it will cost $200 million plus a year simply to maintain the production line for the solid rocket boosters. 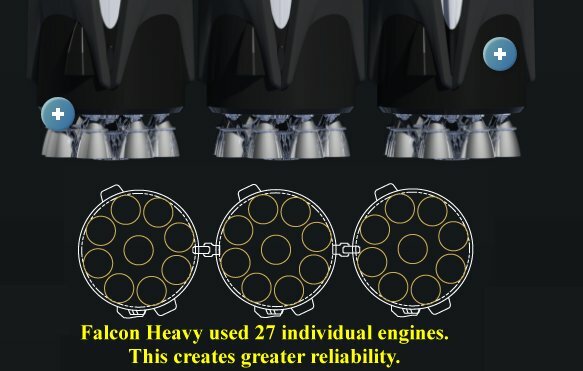 The SpaceX Falcon, Falcon 9, and Falcon Heavy use Merlin rocket engines at $2.17 million each, but in clusters of 9 engines. They use RP-1 and liquid oxygen not liquid hydrogen or any solid rocker boosters. 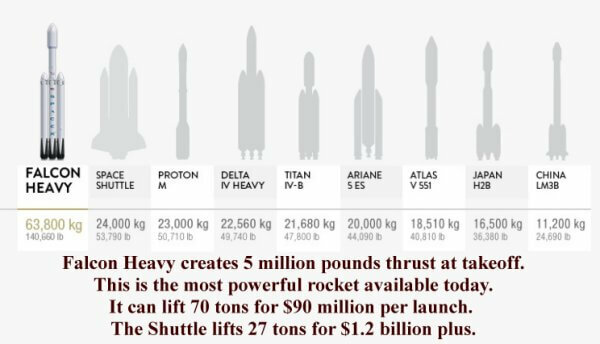 While it is true the SLS can lift more than a Falcon heavy (which is three Falcon 9s lashed together for 27 engines), two Falcon heavy launches can put more material into orbit for ~$200 million at a fraction of the cost of a single SLS launch at $2.5 billion. Or 25 Falcon Heavy launches for a single SLS launch. That would leave lots of money for space exploration. RP-1 is highly refined kerosene which is easy to handle at about $1 a gallon. Liquid hydrogen (H2) bought by NASA (produced on site) is around $1 a gallon. Avoiding liquid H2 and clustering a standard engine design reduces cost and complexity, increases reliability. The big cost to space flight is hardware and research-development. NASA with high cost military mentality people Martin-Marietta, Lockheed, and Northrop-Grumman can't produce a low-cost reliable boost systems. SpaceX has proven it can. Virgin Galactic with some innovation could be launching people into low earth orbit or the space station. We already use reliable and decades old Soyuz spacecraft from Russia - why not copy the design? None of this requires the kind of costs associated with the SLS. NASA claims they need the SLS to launch the 4 crew Orion "interplanetary" spacecraft. Yet SpaceX again is developing the Dragon manned space ship. As reported by www.space.com on July 6, 2018 the design just "aced" its 16th parachute abort test. NASA has been without a crewed spacecraft since 2011. Boeing is developing the CST-100 Starliner. Both carry 7 astronauts at a time. First test flights for both is August 2018. Boeing hopes launch its first crewed launch in November 2018 and Dragon in December. Loren Grush at www.theverge.com (2017) reports a crewed Dragon will cost $308 million versus the Starliner at $418 million. The cost to develop the Orion is pegged at almost $20 billion. Each Orion flight (Orion is more complex) is $1 billion. In fairness what is learned with Orion is shared with SpaceX and Boeing, etc. It seems the use of proven, off the shelf technology is better and cheaper for mundane space activities. News update: The Voyager 1 probe has become the first man-made object to enter interstellar space, NASA announced on September 12, 2013. Scientists report they have strong evidence that the unmanned spacecraft has crossed the magnetic boundary separating our solar system's sun, planets and solar wind from the rest of the galaxy. The announcement comes more than 36 years after the unmanned spacecraft lifted off on a journey that gave humans close-up views of Jupiter and Saturn before heading toward deep space. The probe is still operational after 36 years! What can we build today? 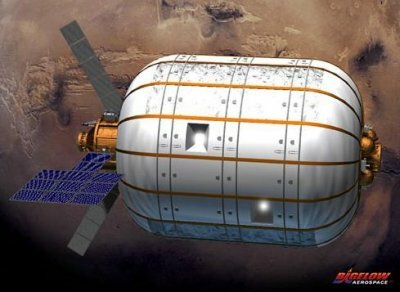 Above: Proposed Bigelow Aerospace BA330 Inflatable Space Habitat. Technology, even what I call garage technology, is widespread, dynamic, and growing. We are building robotics, 3-D printers (that makes actual plastic objects without molds and can cost less than $1000 to setup) the ideas are even invading NASA. More signs of success are the Mars Rovers. They aren't built in a garage, but instead employed the garage technology mentality of the creative use of off-the-shelf technology. NASA has wasted staggering sums of money on specialty built hardware even abandoning it's earlier technological successes. The Mars Rovers lasted six years or more instead of the mere three months they were designed for. Rovers Spirit and Opportunity touched down on Mars January 2004. Rover Opportunity is still going while Spirit failed not due to hardware, but getting stuck in soft sand with its solar panels pointing in the wrong direction in 2011. The other is the recent success of private built, developed SpaceX Falcon rockets that recently supplied cargo to the Space Station. "Founded in 2002 by former PayPal entrepreneur Elon Musk, it has developed the Falcon 1 and Falcon 9 launch vehicles, both of which were from conception designed with a goal of eventually becoming reusable. They used off-the-shelf parts and/or proven technology as opposed to proprietary one of kind hardware NASA was so used to. SpaceX got away from costly liquid hydrogen so beloved by NASA on their over-priced and dangerous Space Shuttle and used kerosene as a fuel. The problem was politics, not engineering. Thus we used creative thinking and proven technology, not politically motivated re-engineering the wheel. Although NASA initially developed the concept of inflatable space habitats, any substantial fabrication work was curtailed by Congress in 2000. Therefore, Bigelow Aerospace had to go through the process of re-designing much of what had been done before, developing, and eventually launching the world's first expandable space habitat prototypes. Again success using and improving off the shelf technology without political meddling or big contracts to military contractors, which is why the project was canceled for being over-budget. This military contractor mentality has to end. And that is the big point. Technology outside the medical field (now to be heavily regulated by Obamacare) when free of government meddling and interference does perform and saves money most of the time. It doesn't matter that China may have very smart people or they steal our technology, their autocratic and controlling culture acts to throttle advancement. Thus they simply can't keep up in my opinion.